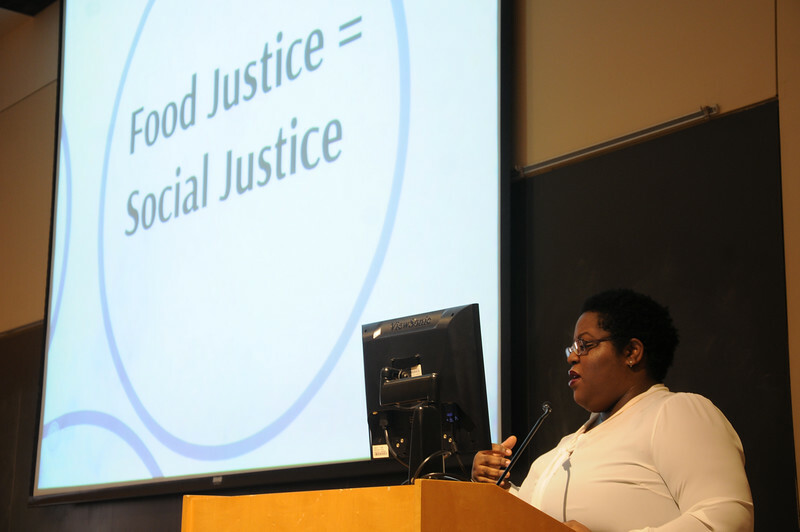 Byline: Madeleine C. Taylor-McGrane, (2-28-16), Therese Nelson, founder of Black Culinary History, speaks to attendees of a Soulfood Brunch in the Fong Auditorium on Sunday. The Brunch was the concluding event in the Kuumba Singers' Black Arts Festival. Attendees enjoy a Soulfood Brunch in the Fong Auditorium on Sunday. The Brunch was the concluding event in the Kuumba Singers' Black Arts Festival.